I have been looking at my phone for the past 2hours, time isn’t moving, its barely 5am.i am scared of the morning, but i will keep checking my phone to make sure morning is not yet here, i should be asleep now, dreaming good dreams, of how perfection is my best friend, but no here i am typing with shaky fingers, wondering why i am this way. I dread Mondays, who doesn’t? who created a Monday, and why did they call it Monday? Couldn’t they have called it Sunday, or Friday my favourite day. It is 4:30 some people are waking up now, to go and make a life for themselves, and am here contemplating if i should go and sleep or just look at my phone and try to enjoy life. Life, enjoy how did i put those two words next to each other? they shouldn’t go together, they shouldn’t even have existed. Who comes up with such things, why did they think of things this way, why didn’t they call life death? And why didn’t they call enjoy, content. I dread Mondays, did i tell you that? if i didn’t lemme say it again, i dread Mondays and if i did lemme just repeat it, i dread Mondays. See Mondays are meant to give you hope, hope of how you are lucky to be alive, hope of how you should be a grateful that you are alive. Hope of how things will be better, of how the choices you make will make you better. Hope of how life is to be enjoyed, i did it again put life and enjoy next to each other. I dread Mondays, not because i am hopeless no!i have a lot of hope in me, mother would just have named me hope, then everyone would know of how hopeful i am. But now i have to spell it out, so that you know i have hope, and i am telling you that i have hope so that’s not my reason for dreading Mondays. 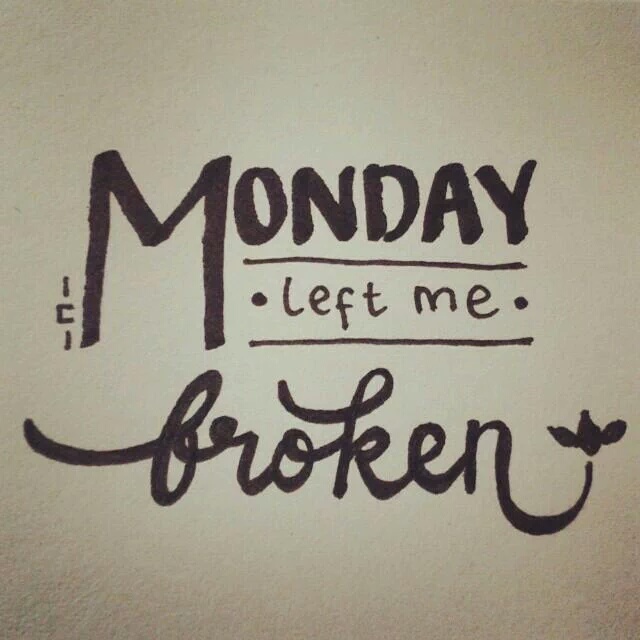 That’s why i dread Mondays, because Mondays come with change, and i hate change, i really do, i like things am used to, people am used to, places am used to, and not change. That’s the reason why i stay with the same people no matter how much they will mistreat me, because i am afraid of change. That’s why i will dread all Mondays because they are a wake up call to change, and change is constant. There again they did it,the thing with words, why put change and constant together, they don’t sound good together, they are not even perfect together. If the two words were ever to be in a relationship, i swear it would be a complicated one, a complicated one just as the life i am enjoying. I dread Mondays, and i will tell you this over and over again, Monday will be here in an hours time, oops it is already here, but i do not want to accept that fact, so it will be here in an hours time, and when it comes i am supposed to embrace it, smile at it and tell it of how happy i am to see it. But i will be lying i am not happy to see it, no not Monday, if it were Friday i would be happy to see it, but not you Monday.